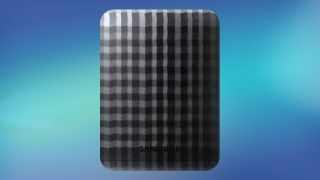 Keep your media library safe wherever you need to take it with this robust portable hard drive from Samsung. Offering a massive 1TB of storage, as well as USB 2.0 and USB 3.0 connectivity, and SafetyKey protection for your data, this Samsung hard drive lets you enjoy stable HD videos and gaming. And best of all, you can save £36 when you buy it now for only £43.99 at Amazon - that's a mighty 45% off. Asus Transformer Book T100 for only £289.95. Panasonic DMP-BD81EB Blu-ray Disc Player for only £50. Logitech Rechargeable Trackpad for Mac for only £16.99. Amethyst 'The Mini Block' Bluetooth Portable Speaker for only £27.26. Seagate STBX2000401 2TB Expansion Portable Hard Drive for only £79.99. Audio Technica AT-LP120USB Turntable for only £268.03.